Western Australian nickel miner Panoramic Resources this week announced it is increasing its quarterly nickel production by 18 per cent in the three months to June. Panoramic produced 5,537 tonnes of nickel concentrate in the June quarter an 18 per cent jump on the March quarter’s output. The company also said that full-year output had exceeded its guidance, with full year output totalling 19,479 tonnes of nickel in concentrate, exceeding its April guidance, but falling just short of its record result of 19,741 tonnes achieved in the 2012 financial year, Creamer Media reported. The ASX listed miner also recorded significant cost drops, falling by 15 per cent to $AU5.28/lb, including royalties which the company attributed to a raft of cost saving initiatives and “outstanding production performance. The company is forecasting 2014 nickel output to be in the range of 19,000 t to 20,000 tonnes. The announcement comes as business analysts this week warned low nickel prices are putting pressure on miners, predicting mines may face the prospect of closure. Nickel miners are facing increasing pressure from the price, which has dropped from over $US8 per pound in February to just above $6. According to the International Nickel Study Group, production from nickel mines is set to outstrip global demand for the second year in a row. They predict output would total 1.86 million tons this year, compared with demand of 1.77 million tons, representing a 5.7 per cent increase in output. Earlier this year BHP slashed about 100 jobs across its six Nickel West operations in Western Australia on the back of falling prices. BHP told Australian Mining increased economic pressures and falling commodity prices will result in roles being cut. “Continued global economic uncertainty, local industry cost pressures and depressed commodity prices continue to place pressure on our Nickel business,” a BHP spokesperson told Australian Mining. Around 180 workers also lost their jobs when Russia's Norilsk Nickel closed its Lake Johnston operations in April. While last year Xstrata closed the Cosmos mine and sacked 150 workers due to the declining market. 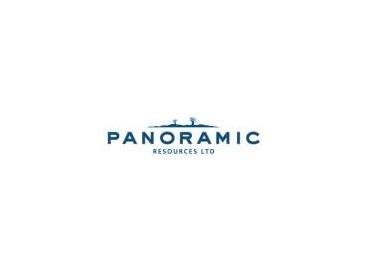 Panoramic owns and operates the Savannah and Lanfranchi underground nickel sulphide mines in Western Australia.